Menu	 HomeAbout Aha!— Project UpdatesServices— Graphic Design— Website Design— Branding— Video Production— Direct Mail— Marketing Strategy— Insyteful™Insyteful™Case StudiesContact Aha! We are proud to have been chosen to create and manage a marketing campaign for The Capps Center – a workforce training center located in Indianola, MS - serving a seven county area of the Mississippi Delta. Our first step in this project has been to create a bold, unique logo/brandmark, something as strong as the Capps Center itself. This project will involve strategy, re-branding, web, social media and print. We love our time in the Delta and are honored to be part of this important economic outreach. We are very proud of this project. Creative Director Ray Methvin first envisioned this entity, then created the concept, brand, and strategy for the multi-year project, including managing the marketing campaign for DeltaStrong – a collection of 13 counties of the Mississippi Delta. During our many trips and extended visits to the differenet communities of the Delta, we produced the website, photography, videography, and print/promotional collateral for this robust project. We especially enjoyed our video production with the one and only Archie Manning, who is DeltaStrong personified. This economic development project is slated to bring more investment into the Delta in an already thriving market. For the 50th Anniversary of NACOLG (Northwest Alabama Council of Local Governments), Aha! executed a re-branding for this regional organization. This project included a new logo, new stationery and updates to their Aha!-created website. Sycamore Physician Contracting reaches a new milestone! This unique startup has been steadily adding physicians to their roster. They now have doctors in 41 states and 200 facilities! This great concept is revolutionizing the medical field and we’re proud to serve as their marketing arm. Aha! 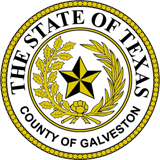 Creative has been chosen by Galveston County TX and its vibrant communities to develop a state-of-the-art Economic Development website, presenting and marketing the many assets of the Gulf’s Gateway to Texas. This site will incorporate several of our proprietary web functions and features, and is set to launch in spring of 2017. As an agency, we manage a lot of photography. Here’s a brief look behind the scenes from our recent shoot with one of our perennial favorites – American Pacific. This shoot features their beautiful wall planking. We dressed, styled, and photographed 15 room scenes over 4 (long) days! Our long-time client, the Lawrence County Chamber of Commerce, asked us to design a new brand identity for them. The resulting design is one that uniquely identifies the area, while visually identifying it as an important part of the state of Tennessee. While at work on the Brand project, we also designed and published a 92 page Tourism and Marketing magazine for the area. We are now working to complete the new chamber website, expected to launch in February 2017. "We feel fortunate to have Aha! A Creative Agency as an outstanding member of the Lawrence County Chamber of Commerce. Their professionalism, quality of work and attention to detail is extremely impressive. We continue to receive compliments from other chambers and visitors on the design and navigation of our web site and tourism magazine. We highly recommend Aha! for your design and publishing projects." Congratulations to Sycamore Physician Contracting!